Rev. Dominic F. Green was born in New York City. Upon completion of primary education, he attended St. Emma Military Academy, Powhatan, VA and the University of Dayton in Dayton, OH. He, subsequently, enlisted in the United States Marine Corps, retiring in 2004. Rev. 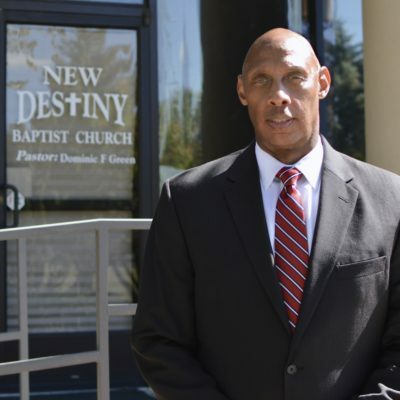 Green is currently the Pastor at New Destiny Baptist Church. His ministry focus is expository teaching, Christian leadership, and mentoring. He is continuing his education in the School of Religion, Liberty University. Rev. Green is married to the former Karen V. Vause of Philadelphia, PA and together they have three children: Paul, Dominique and Michael; and one grandson, Paul.